Cost: NO RESERVATION FEE! 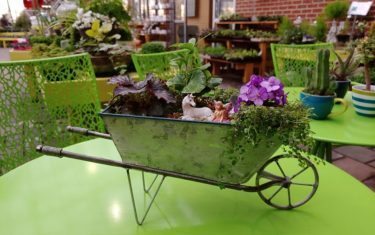 YOU CHOOSE FAIRY GARDEN CONTAINER + COST OF PLANTS & ACCENTS (SOLD SEPARATELY). SOIL & FERTILIZER IS INCLUDED. Our Spring Workshop planters have arrived! There will be a large selection of containers to choose from for every style and budget. You pay for the materials you use, à la carte, and soil & fertilizer are free.